Vampires--A list of vampires who appear in the series. Zombies--A list of zombies and identifying information about them. Lucard's Employees--People who work for Lucard, whose names and/or positions we know. Deaths--Who dies, who did it, & how. 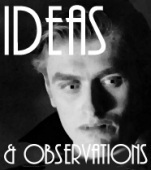 Vampire Characteristics--Characteristics exhibited by vampires in the "Dracula" universe. Lucard's Ties--All Lucard's ties, and other wardrobe elements, too! Lucard's Shakespeare Quotes--Shakespeare lines Lucard and Klaus have quoted, and their correct references. Lucard's Art Collection--A detailed list of items found in Lucard's art collection. Lucard's Castle Interiors--A detailed list of rooms in Lucard's castle. Note: Episodes 19 and 20 both involve unreal sequences; items which emerge from them, as they can't be trusted or are actually untrue, are marked with an asterisk. Thanks to Sarah T. for providing additions to many of the lists for episodes 7-20! Vampires: All vampires, their "masters," and relative ages. All zombies, their positions, their fates, and other identifying information. Clonked on the head by Max and later destroyed by Lucard with vampire gun. Subverted by Mrs. Pfenning although he later returns to his old loyalty. Staked by Lucard. Also subverted by Mrs. Pfenning, attacked by Peter and staked by Lucard. Lucard orders Felix to "liquidate" him, although we don't see this actually happen. Destroyed by Cross of Magyars when he stumbles into the Helsing home's entryway. Chased out of the room by Lucard when he falls ill.
People who work for Lucard, whose names and/or positions we know. All deaths, including murder, suicide and accident. The episode references refer to when the characteristic is first shown if it is common; if it unusual, they refer to all the episodes in which it appears. Note: It is unknown whether less powerful vampires are able to do all of the things Lucard can, so a few of the characteristics may not be universal. Leviate and float (Ep.2; Lucard floats through Max's upstairs bedroom window. Note that we don't usually actually see Lucard fly, so this is unusual. Ordinarily, he turns into a bat first or disappears). Cause the Cross of the Magyars to emit a bolt of electricity (Ep. 2; obviously, did not destroy Lucard), or a blast of fire (Ep. 3, Arthur Bauer: destroyed instantly in the usual vampire fashion) and zap them. Vulnerable to the vampire-repellent properties of the quinidrine solution: can be returned to human status by drinking solution (Gustav, although he had not fully become a vampire yet: Ep. 3), or be hurt by blue energy bolts produced by human drinker of the solution (Lucard & Klaus, ep. 3) in response to their presence. Note that humans are not hurt by said energy bolts (witness Chris). Effects from being zapped by energy bolts appear to be short-term. "Nice tie." All Lucard's ties, and other wardrobe elements (my specialty is collar styles). As Sarah T. points out, "I think it's, um, critical to keep track of Lucard's ties. After all, he is the power-dresser par excellence...but he has a relatively restricted wardrobe, as he dresses formally almost all the time. All that black and white! Not that it isn't gorgeous on him, but it is predictable. The tie (and on occasion--the vampire movie star episode, for example--the hat) is his one chance to express himself." Outfit #15: Outfit #12 again, I believe. All the Shakespeare lines Lucard and Klaus have quoted, and their correct references. Link to the original quotes in context and see for yourself--Klaus is better than Lucard at siting Shakespeare, oddly enough.